Vettoriale - Hand Drawn Vector Abstract Modern Cartoon Happy Valentines Day Concept Illustrations Card With Cute Cat And Handwritten Modern Ink Calligraphy Text February 14 Isolated On White Background. Image 116198992. 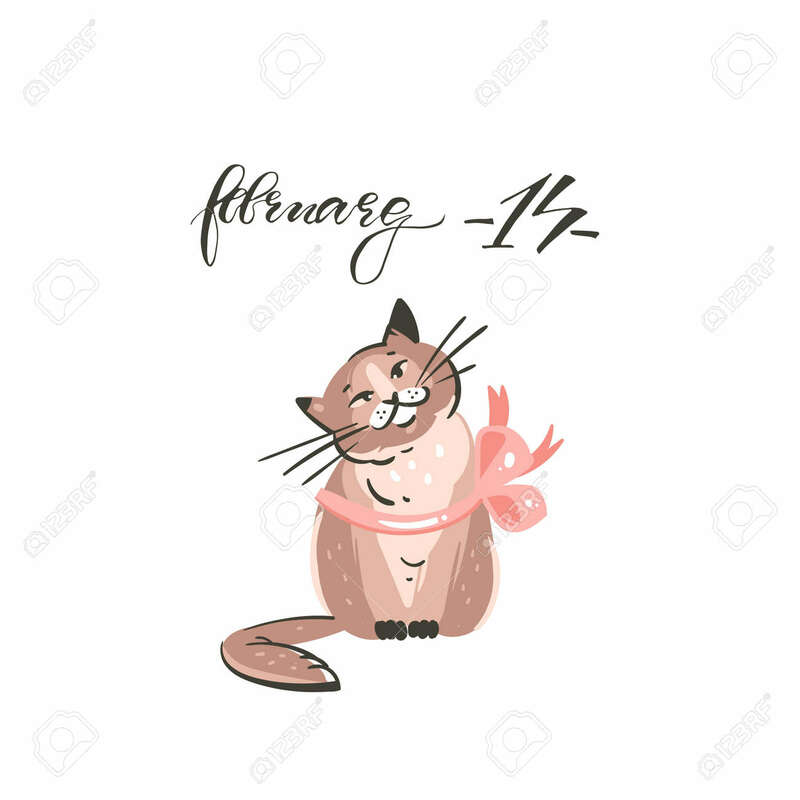 Archivio Fotografico - Hand drawn vector abstract modern cartoon Happy Valentines day concept illustrations card with cute cat and handwritten modern ink calligraphy text february 14 isolated on white background. Hand drawn vector abstract modern cartoon Happy Valentines day concept illustrations card with cute cat and handwritten modern ink calligraphy text february 14 isolated on white background.